Gestational diabetes is a temporary form (in most cases) of diabetes in which the body does not produce adequate amounts of insulin to deal with sugar during pregnancy. 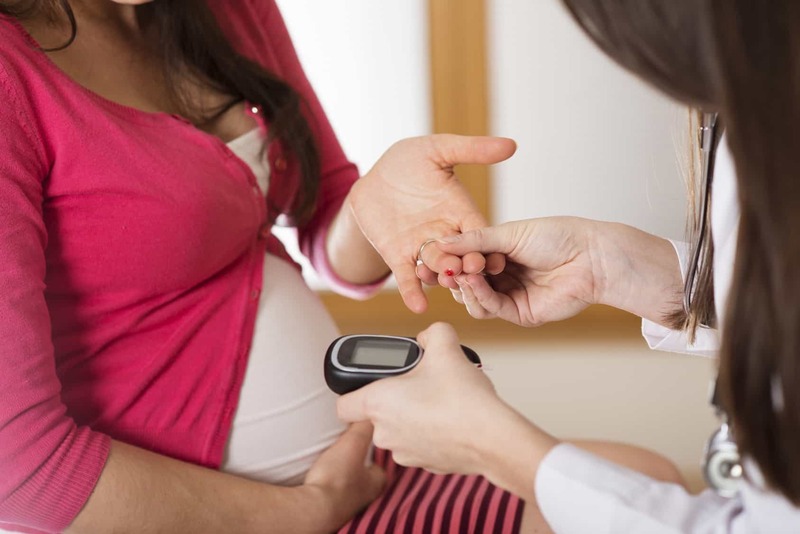 Pregnant women who have never had diabetes before but who have high blood glucose (sugar) levels during pregnancy are said to have gestational diabetes. What causes gestational diabetes is unknown, but certain theories link it to the placenta. Hormones from the placenta help the baby develop. But these hormones also block the action of the mother’s insulin in her body. Without enough insulin, glucose cannot leave the blood and be changed to energy. Glucose builds up in the blood to high levels and results in gestational diabetes. GDM not just influences the mothers body but also affects the baby’s health. Common problems associated would be a bigger head of the baby leading to complications in a normal delivery, higher incidences of jaundice & occasionally respiratory distress in babies. FabMoms, the Prenatal program from ReLiva, recognizes the seriousness of GDM and its impact on pregnancy and therefore offers holistic programs that offer both planned exercise and nutrition guidance to effectively control gestational diabetes. Make this blissful phase truly sweet with fit & discomfort-free memories of pregnancy rather than cutting on sweets due to Gestational Diabetes.